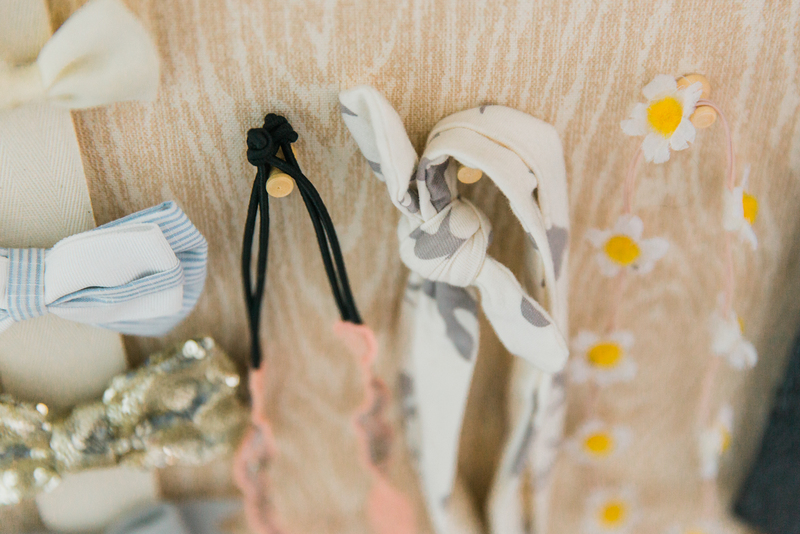 Hello everyone, it’s Jennie from The Lovely Little Nest with a cute yet simple way to display all of those darling bows, barrettes, and headbands. 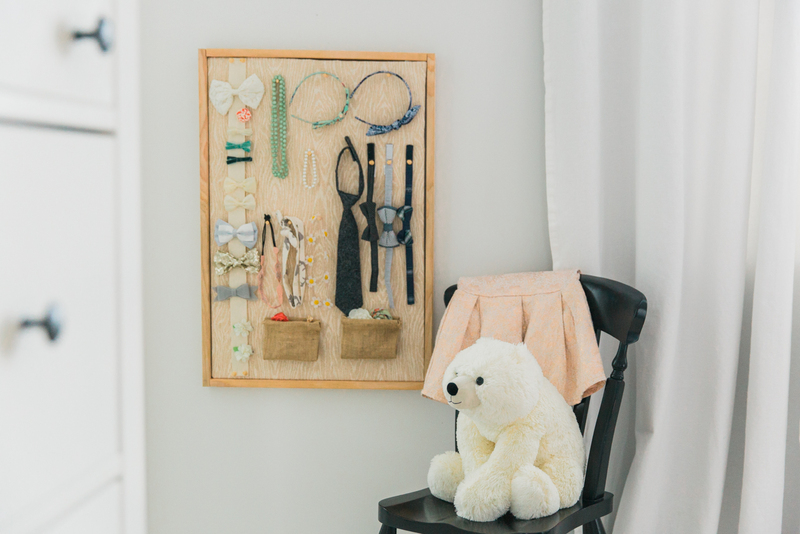 Organizing your children’s accessories can be both practical and adorable with this easy, DIY Children’s Accessory Board. 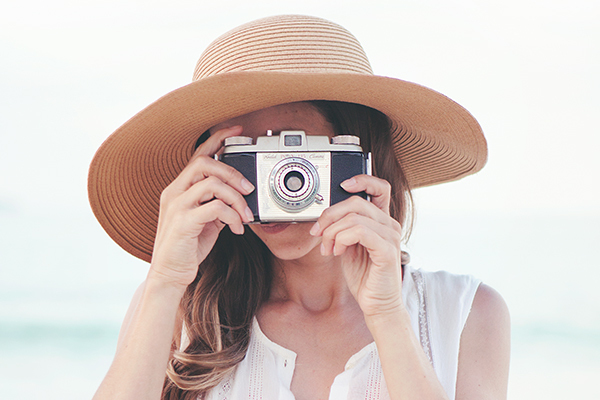 No more searching or digging trying to find just the right adornment. 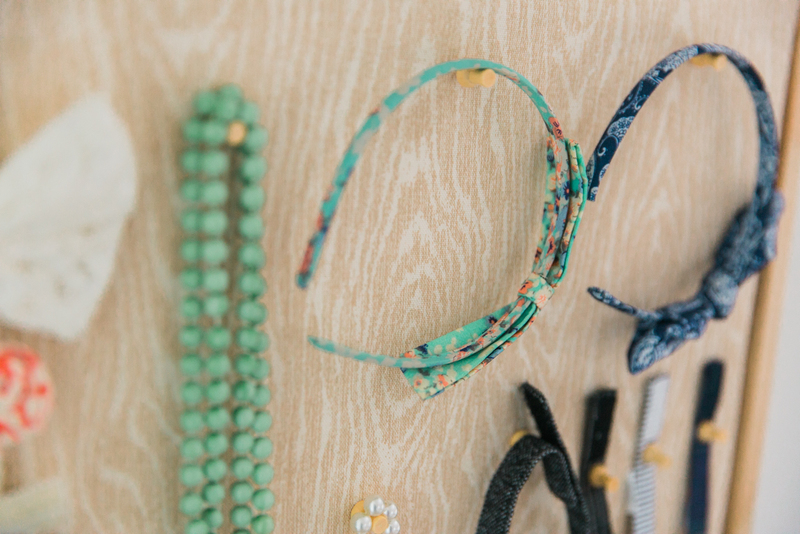 Putting them on display makes it easy to find just the right bobble to coordinate with what your child is wearing. 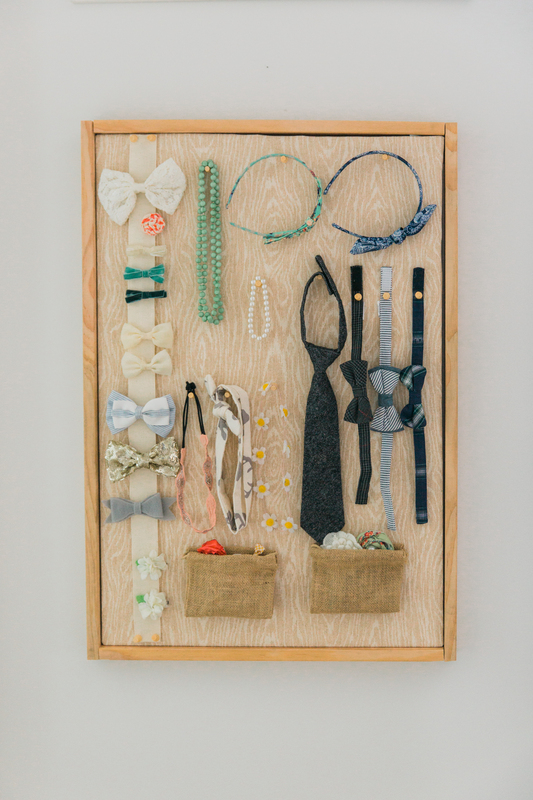 By using ribbon, pouches, and push pins you can hang, pin, clip, or pocket your accessories any way you like. 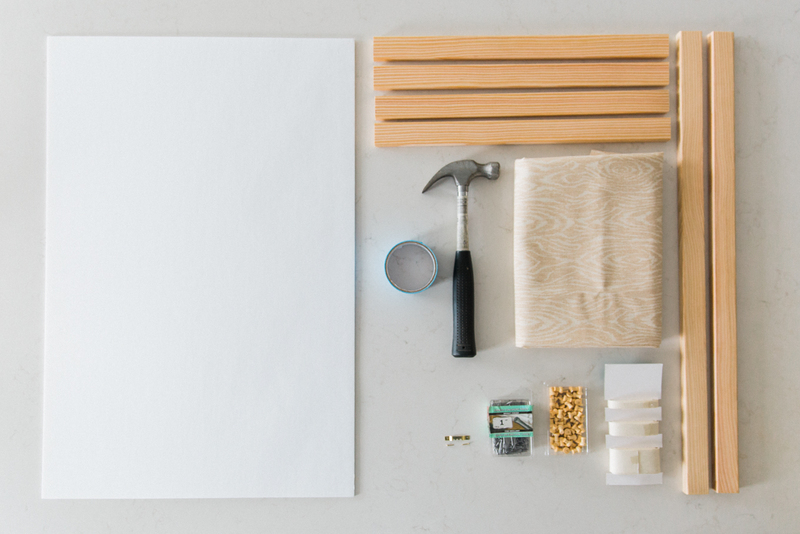 With these simple instructions, you’ll be able to put one of these boards together in no time. 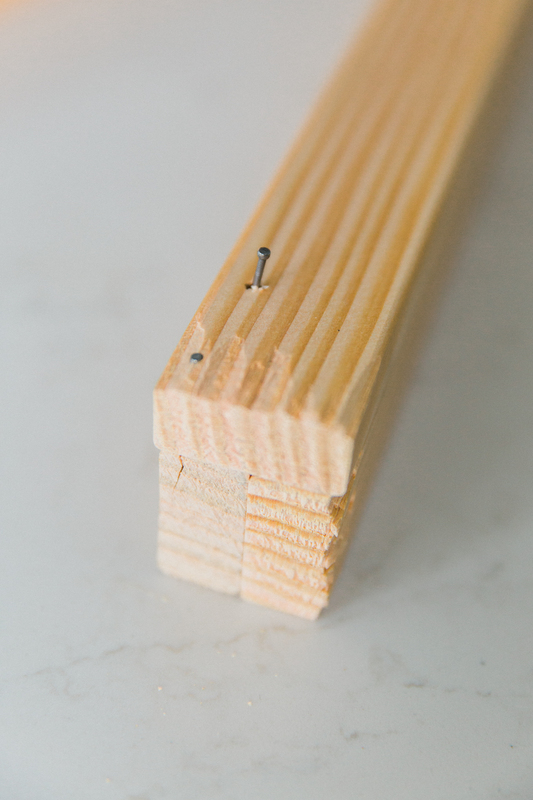 To begin, glue and nail two of the 19” pieces together in an L shape using two nails. 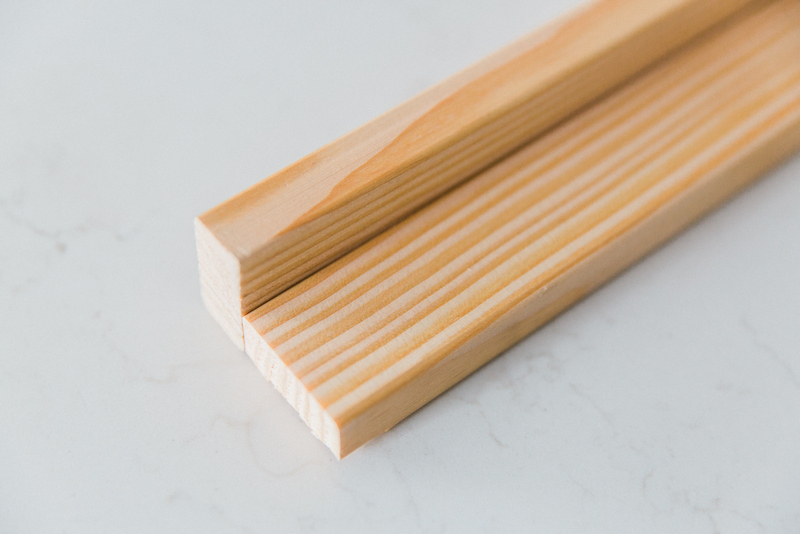 You can put a second piece of wood underneath for support while nailing. 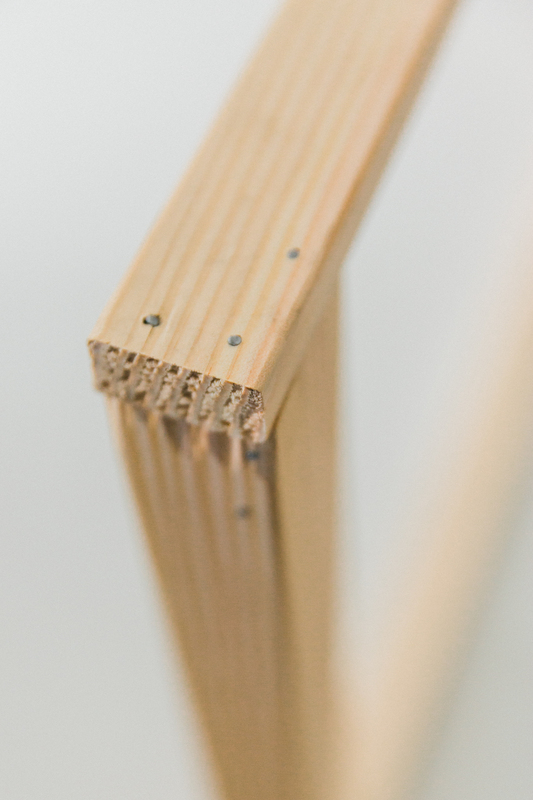 Glue and then nail the two 30” pieces of wood to the two L-shaped pieces to complete the frame. Using three nails adds stability. 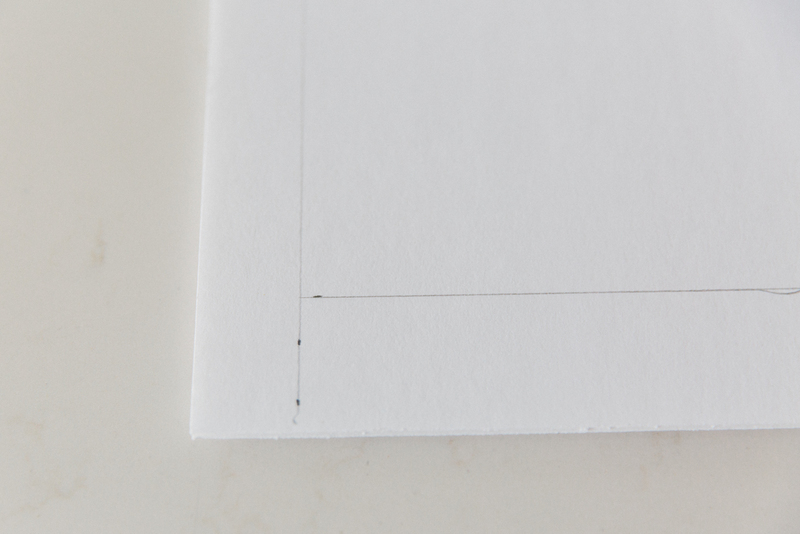 Place two in the bottom board and one in the adjoining piece. 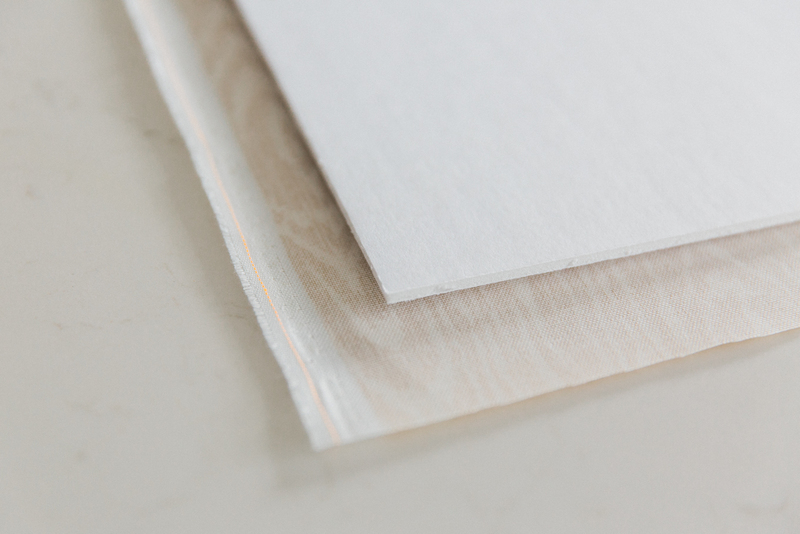 With a utility knife, cut the two pieces of foam core board to fit the inside measurements of the frame. Iron the fabric. Place the two foam core boards one on top of the other and then on the back side of the fabric (make sure you use two for stability). 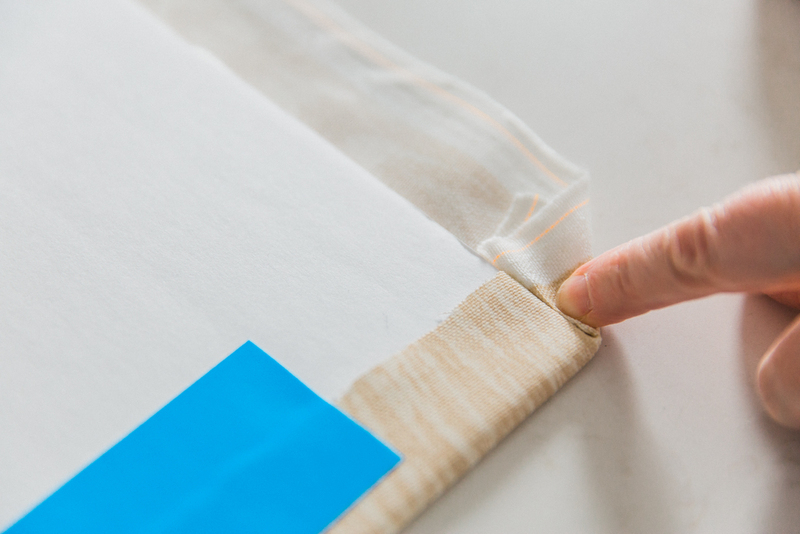 Fold the fabric over the edges of the boards, pulling tightly, and tape in place. 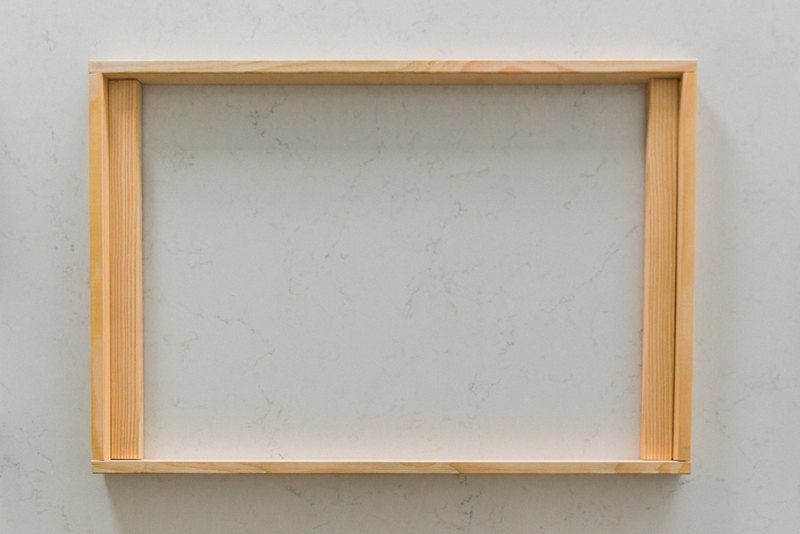 Place the fabric-covered foam core boards into the frame and secure to the top and bottom corners of the frame using 1” nails. Attach the sawtooth hanger to the top of the frame on the back. 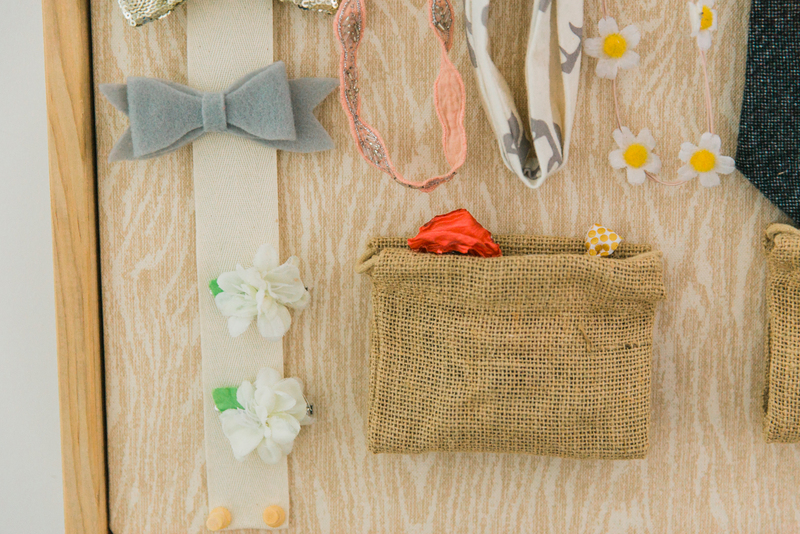 Using push pins, secure the twill tape (or ribbon) and bags in place. Now comes the really fun part, displaying all of those darling bows, barrettes, and headbands. 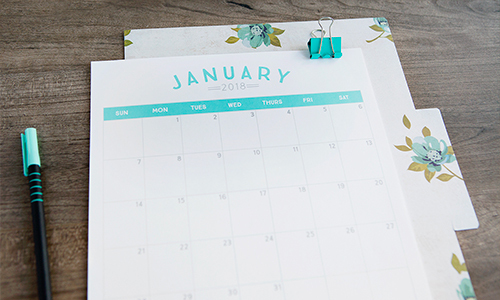 Your board will be so adorable you can use it help add decor to any room. The best part about using pushpins is that it makes it easy to readjust the board as the accessories change, ensuring it grows with you child. 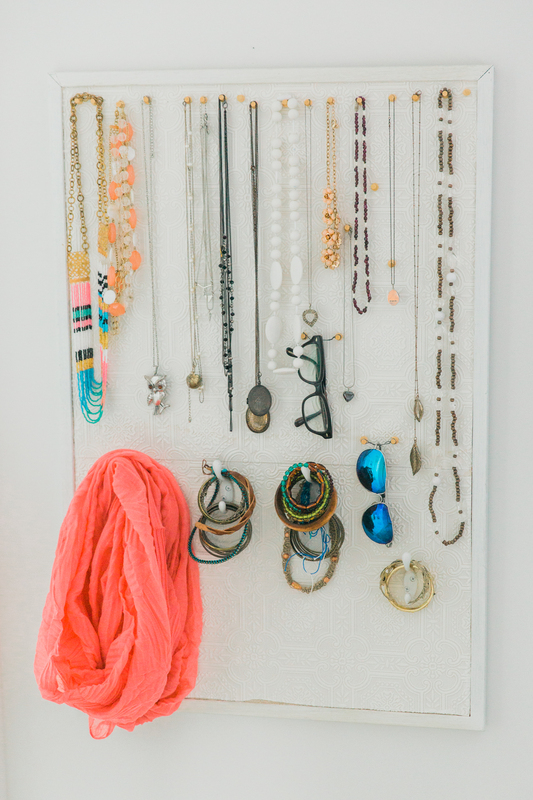 This is one that I use for myself, and I can change it around as much as my jewelry collection does. 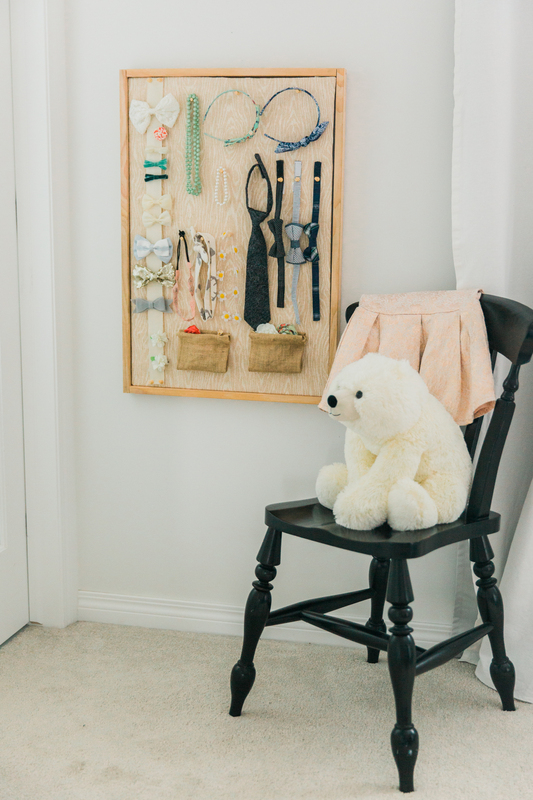 Enjoy this easy, DIY Children’s Accessory Board!